The AFI report ‘Enhancing the Competitiveness of the Australian Livestock Export Industry’, suggests that live sheep, cattle and goat exporters have a range of common interests with the meat processing sector, and in many instances the two sectors are complementary. “Efforts are needed to identify issues of common interest and to engage in advocacy and other activities to advance these common interests,” the report said. “There is a commonly held view that the livestock export and meat processing sectors in Australia are in direct competition for access to Australian livestock, and are therefore antagonistic. The report said the live export market commonly provides a market outlet for livestock either that cannot be grown out and finished to the specifications required by domestic processors, due to climatic and geographical constraints, or that are of less interest to the processing sector, eg. heavier goats and aged wethers. The AFI found that there is likely to be mutual benefit for livestock exporters, livestock producers and meat processors in collaborative advocacy efforts associated with issues such as transport infrastructure, port access, biosecurity, access to personnel skilled in livestock handling and access arrangements associated with international markets. 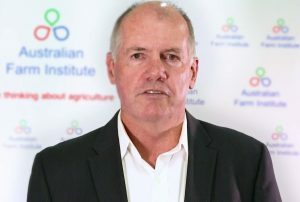 Australian Farm Institute director Mick Keogh. The AFI also found that assessing the substitutability of processed meat exports from Australia for livestock exports was a complex issue and depended on the modelling assumptions used, and evidence of substitution varied between markets. “In the case of live sheep imports by Bahrain, there is evidence that a cessation of live sheep imports increased imports of processed sheep meats from Australia, but also of live sheep from other sources including North Africa and southern Europe. “In the case of the Middle East more generally, the reduction of live sheep exports from Australia over the past decade has coincided with an increase in sheep meat imports into that region, but has also resulted in a major increase in live sheep imports from Romania, Somalia and Sudan among others, and a major reduction in the market share held by Australia,” the report said. “Similarly, the decision by Saudi Arabia not to implement ESCAS accreditation for its livestock supply chains has resulted in that nation instead importing its live sheep from North Africa, rather than Australia. – recognising changes in key markets and developing strategies to respond to these changes. – ensuring that other countries implement international animal welfare and livestock management standards equivalent to those adhered to by Australian exporters and engaging with the Australian Government to achieve effective regulation at minimal cost. – helping to maintain Australia’s current superior biosecurity status, and to ensure Australia can recover quickly from any biosecurity incidents. – considering different actions to strengthen the live export industry’s social licence to operate and ensuring any future incidents are dealt with in an effective manner. – action by the livestock export sector to improve recognition of its role in livestock markets and its impact on enterprise profitability. Australian Livestock Exporters’ Council chief executive officer Simon Westaway said the report confirms there is further scope to identify issues of common interest with red meat processors and to engage in advocacy and other activities to advance these common interests. “Not only does our industry deliver significant and growing economic value nationally and regionally, livestock exporters share a number of strategic objectives with our partners in the meat processing sectors,” he said. ALEC has welcomed the release of the eport, which highlights the value of Australia’s livestock exports as about $1.8 billion annually in farmgate returns alone and more than $2 billion in export revenue each year. Beef cattle exports are worth $1.35 billon; dairy cattle exports are worth about $170 million, sheep exports are worth $250 million and goats exports are valued at about $10 million each year. The global trade in livestock has more than doubled in value over the past decade and is now valued in excess of $US18 billion per annum. The report cites economic modelling conducted by ABARES and the Centre for International Economics which found that Australian livestock exports generate about 10,000 jobs across regional Australia and that a cessation of the trade would impose a net cost of about $300 million annually on Australian livestock producers. Mr Westaway said the report was timely, given the global value of the international livestock trade amongst 130 livestock exporting nations had grown significantly since 2001, due to increased demand for dietary protein in developing nations, and a reduction in international trade barriers. “Research into the economic impact of Australia’s livestock export industries, and future ways to improve its competitiveness, is a vital ingredient in ensuring we remain the global leader in the live trade, in terms of market access and animal welfare standards,” Mr Westaway said. “This report crystallises the significant value of the Australia’s livestock export industry and backs-up existing research which robustly debunks any doubts about the economic importance of the live trade to the national red meat value chain,” Mr Westaway said. Click here to view an AFI infographic on the live export industry.